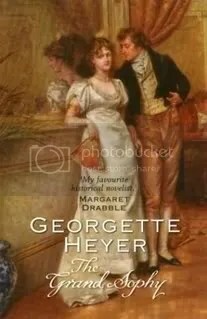 Like most innovators, Georgette Heyer suffers by association with her imitators, descendants and plagiarists. 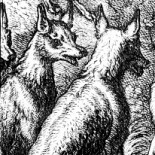 But to dismiss her as all bonnets and heaving bosoms is like dismissing Wodehouse because he writes about toffs and pigs: both are peerless at what they do, and millions of readers have encountered these worlds, and settled down for good. Her historical accuracy is not in doubt: for years her account of the battle of Waterloo, in An Infamous Army, was prescribed to cadets at Sandhurst as the best there is. Heyer’s world is a narrow one – with some exceptions her best fiction is set among the nobility and gentry between 1810 and 1830 – and highly selective. But what it’s not is sentimental or soft-centred. Yes, the central question of her novels is always whether a woman and a man can find their way to real love either before, or occasionally after, their marriage in church. But what makes Heyer’s work still sell by the palletload – these days in a very elegant new look – over thirty years after her death, is that these partnerships are no simple matter of love-at-first-sight, or a heroine succumbing to an alpha male. A ‘man’s woman’ all her life, and happily married for nearly fifty years, Heyer knew that it’s marrying minds, as well as hearts and bodies, that matters. Her superbly stylish prose and masterly craftsmanship are put at the service of that marriage. Venetia is for some an even more satisfying combination of comedy and the vein of deeper feeling which counterbalances Heyer’s clear-eyed realism and satirical pen. Venetia is one of Heyer’s most liberated heroines: she is a great realist about men, and about her own situation as a rich but isolated young woman, nearly too old for marriage, destined to marry a dull farmer or dwindle to aunt-hood, deep in the Yorkshire dales. When bad Lord Damerel returns to his neglected estates, the scene is set for an encounter of true minds. Yes, sexual attraction runs like a thread of fire between him and Venetia, but sense of humour and shared interests are more important in the meeting of soul-mates. Love changes everything, and the heartbreak is as real, because the hearts are real, as any you could read, just as the ending has all the satisfaction for the reader, as well as for the characters, of being truly earned. In fact, the novel where I feel Heyer comes closest to Wodehouse is Sylvester. The plots twists and humourous moments in Sylvester read like Wodehouse at his best. Nice in-depth review; humor, details, background, a great overview of Heyer. Leena has always been recommending her and now I see why. I really must correct the omission of her from my reading list(Heyer, not yet Leena). I found the title of the second novel startling, as that’s my sister’s official first name, but she goes by her middle one instead. Looking forward to more Darwinian reviews. Liz, I’m not surprised Damerel wins hands-down. I don’t think it’s his rakishness, I think it’s the Rochester effect that has us all falling for him: he takes Ventia’s mind seriously, which no one else does. Of her other kind of hero, I’ve always had a great weakness for Adam in A Civil Contract. Jackie – I’ve always wanted to call a daughter Venetia – a beautiful name. Heyer really is worth a go – like many other fans, I don’t read any other writer who you could file under ‘historical romance’, let alone ‘regency’: she really is without peer, and after her, why bother with her imitators? I suspect Heyer taught me more than many a better-regarded writer about a) how to write a really good, well-constructed, musical sentence and b) how to convey period without once seeming flat-footed. The Jane Aiken Hodge biography is very good: a model of how to engage with both the creative and the business side of a bestselling writer’s life. Tho’ there are things which couldn’t be said because various people (including plagiarists) were still alive. Jennifer Kloester, who wrote the companion guide “Georgette Heyer’s Regency World”, is working on a new, authorised biography, with a lot of new material, so I’ll be first in the queue for that. I love the irony of this aspect of Venetia too: on the face of it, Damerel is a loose-screw yet he admires, appreciates and respects Venetia more than any of the other men she has known, with the possible exception of Aubrey. I really enjoy this author, though I did re-read one of hers recently – canNOT remember the title – and was pretty shocked by how glibly she accepted class prejudices. I know it was all ‘in character’ for the time, but still felt it made the characters unlikeable. Still, a very good writer. I just adore Georgette Heyer. She’s class. I also loved Bath Tangle, Faro’s Daughter and Sylvester. But The Grand Sophy has to be one of her very best. Like you, I don’t read other historical romances – though I think (and hope) it would be perfectly possible for someone talented and witty who understands the time period to write something delightful in the same vein. I’ve heard good things about ‘An Accomplished Woman’ by Jude Morgan, so that one might be worth a shot. But I’ve sampled a few ‘Regencies’ and didn’t get along with any of them. For one thing, well, they weren’t particularly well written; but perhaps even more disappointingly, the authors were all clearly influenced by *each other*, i.e. the genre they’re writing in, whereas Heyer looked back to the literature of the Regency period itself. (I think she was greatly influenced by Maria Edgeworth in particular… Haven’t read the biography so I don’t know if she acknowledged ME as an influence, but reading Heyer and Edgeworth back-to-back, it seems obvious.) And perhaps what Ariadne said about class prejudices is a factor, too. For good and ill, the ‘authorial persona’ in Heyer’s novels is very old-fashioned indeed, and that makes the period voice convincing. The Regency romance authors I tried to read had a thoroughly ‘modern’ outlook and paid mere lip service to matters like rules of propriety and a woman’s reputation, even though these played a crucial role in the plot. It was all reduced to a sort of empty charade played in unconvincing costumes with zippers at the back and plastic flowers on the bonnet. 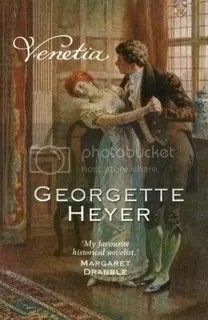 Anyhow, I think this calls for a Heyer re-read as soon as time permits 😉 I might read ‘Venetia’ with fresh eyes as it was never a big favourite of mine (as a teenager I thought it was ‘too romantic’, too slow, and less comic, compared with the others I’d read) or perhaps one or two I’ve never read before – I keep saving them for rainy days and other emergencies! Do you know – I’ve never read a single Georgette Heyer book. I think I’ll have to rectify that – you make them sound irresistible! Leena, I do so agree with you about her imitators – they just don’t get it, do they? On any front. I tried a detective thing with Jane Austen as detective, which ought to have been fun – she’s very sharp in her letters – and it was just dreadful. I don’t know about Edgworth – I don’t think JHA mentions her, in among Austen and Sam Johnson – but she was extremely well-read in a traditional way, having the run of her father’s library and mostly being educated at home, so if my grandmother’s anything to go by (only about 10 years younger) she’d have read all of Edgworth, as well as knowing Austen by heart, also Bronte’s – Heathcliffe the original Heyer Hero Mk 1, of course – Charlotte M. Yonge, Scott, as well as Dickens, Thackeray (definitely some Thackeray in her dandies, I’d say) Trollope (those self-serving women and smarmy men). Can’t help thinking she must have liked George Eliot – that cool, rational intelligence. Venetia’s a bit of a giveaway on this front, too – the only one where she lets them court through quotations – just like Harriet and Lord Peter, come to think of it. Though I mean Rochester as the original of Heyer’s hero, not Heathcliffe. She acknowledged it herself! Thank you for pointing me to your reviews of these two Emma. Two of my favourites and you’ve captured them beautifully. We clearly like the same things in Heyer as I also have a soft spot for Adam in a Civil Contract and for Kit in False Colours who is of a similar type. I think this is one of the best reviews I have ever read of one my favorite authors, and two of my favorite books. Also, linking together the similarity between Wodehouse and Heyer was a joy to read. I’ve been thinking that for years now. In fact, I often refer to Heyer as my female Wodehouse. While Heyer often ignores the class differences in her novel, one outstanding exception is Arabella. Here the heroine, (one of her few heroines who are described as being beautiful) champions the underdog (literally in one case where she rescues a mongrel and then promptly askes the hero, a dandy in the style of Beau Brummel to take care of it), including a chimney sweep. Also, I think that in another book, Friday’s Child, the charmingly innocent heroine pleads with her shocked husband to have a woman called Leaky Peg as one of her household staff. Leaky Peg (what a gloriously original name) needless to say, is not housemaid material. The writer I have always thought she had most in common with is Nancy Mitford. They share a gift for describing dreadful parents with humour and affection and both can have me laughing out loud on trains. They also cover the same upper class milieu, even if 150 years apart. This entry was posted on February 15, 2008 by Emma in Entries by Emma, Fiction: historical, Fiction: humour, Fiction: romance, Fiction: women's and tagged Emma's reviews, Georgette Heyer, humour, Regency, romance, Wodehouse.